Although my interests are wide, newts and salamanders have always held a special fascination for me. Beginning in childhood, I sought to keep and breed as many species as possible, and I focused on their husbandry and conservation when I entered the zoo field. In time, I wrote a book summarizing my experiences (please see below). The passage of so many years has not dulled my enthusiasm for these fascinating amphibians, and I can highly recommend them to both beginning and advanced herp keepers. The following information may be applied to the care of Japanese Fire-Bellied, Eastern, California, Ribbed and Paddle-Tailed Newts, as well as most others that appear in the pet trade. Please write in for detailed information on individual species. An ability to thrive on commercial pellets distinguishes newts from other amphibians, and endears them to folks who prefer not to handle live insects. All are brilliantly-colored, active by day, and usually live well in groups at average room temperatures. Most become quite tame over time, and will even accept food from your hand. Several California Newts in my collection have lived to age 20, and others seem bent on exceeding that. The term “newt” is usually applied to small, semi-aquatic salamanders in the family Salamandridae. This family contains 80+ species that range throughout North America, Asia and Europe. During the breeding season, males usually develop bright colors, and some, such as the Banded and Crested Newts, sprout fantastic skin crests. The Ribbed Newt may reach a foot in length, but others average 4-6 inches. Newt larvae develop in water. Upon maturity, they pass through a land dwelling phase (see photo of Eastern Newt above) and then re-enter the water, where they remain for the balance of their lives. However, certain populations depart from the typical lifestyle; Eastern Newts on Long Island, NY, for example, skip the land stage. Newts offered in the pet trade are usually in their adult, semi-aquatic stage. Amphibians are not known for being especially active, but newts are always nosing about for food, exploring, and interacting with tank-mates. They see well and may swim to the aquarium’s side when you enter the room, in anticipation of a meal. Handle newts only when necessary, and with wet hands so that the skin’s protective mucus covering is not removed. Newts are well-adapted to life in the water, but do need a place to haul out and rest. The water in their aquarium can be deep, provided that egress is simple…cork bark, turtle platforms, and floating live or plastic plants all serve well as resting spots. Newts are perfectly suited to aquariums stocked with live plants, and spectacular displays can be easily arranged (please see video below). Plants help maintain water quality, and the complex environments they create make life more interesting for both newt and newt-owner. As newts readily climb glass, a secure screen cover is a must. Smooth, rounded gravel of a size that cannot be swallowed is ideal; rough stones will injure the delicate skin. Bare-bottomed tanks are easily kept clean. Newts have porous skins that allow for the absorption of harmful chemicals. Careful attention to water quality is essential. An aquarium pH test kit should always be on hand. Most newts fare well at a pH of 6.5 to 7.5, with 7.0 being ideal. Ammonia, excreted as a waste product and produced via organic decomposition, is colorless, odorless and extremely lethal to newts; a test kit should be used to monitor its levels. Chlorine and chloramine must be removed from water used for any amphibian. Liquid preparations are available at pet stores. Undergravel, sponge, corner, hanging and submersible filters can all be used in newt aquariums. Even with filtration, regular partial water changes are essential in keeping ammonia levels in check. As newts are not strong swimmers, water outflow from the filter should be mild; plants, rocks and movable outflow attachments can be used to reduce current strength. Newts seem not to require UVB light. UVA light is not essential, but may encourage natural behaviors. Most newts thrive at normal household temperatures, but fare best when kept cool (60-68 F). Temperatures above 75 F may weaken the immune systems of some. Please write in for information on individual species. A winter cooling period of 40-50 F encourages reproduction. Although often sold as “additions” to tropical fish aquariums, newts do poorly in warm water and feed too slowly to compete with most fishes. Guppies adjust well to cool water, and their fry will be eagerly consumed by newts; limit the number of adults so as to avoid competition for food. Weather Loaches and Corydoras Catfishes will co-exist, and usually do not interfere with feeding. I rely upon Reptomin Food Sticks as a mainstay for the newts in my collection, and for those under my care in zoos. Freeze-dried shrimp (included in Reptomin Select-a-Food) “gelled insects”, canned snails and frozen fish foods (i.e. mosquito larvae) should be offered regularly. Live food, while not essential, is relished and will help ensure a balanced diet. Blackworms, bloodworms, earthworms, guppies, and small crickets will be eagerly accepted. Stocking the aquarium with live blackworms will keep your pets active and occupied. Newt larvae and terrestrial sub-adults will usually accept only live food. Please write in for further information. Newt skin glands produce toxins such as Tarichatoxin, which can be fatal if ingested (so don’t eat your pet!). Do not handle newts when you have an open cut, and always wash well afterwards. Toxins transferred to the eyes via fingers have caused temporary blindness. Please check out Newts and Salamanders, a book I’ve written on care and conservation. Newts used to be very popular here in the uk when I was a kid. However I fear that the large amounts of children that went out collecting Newts added to the decimation of their numbers. I have personally not seen any Newts for many years…. or common frogs for that matter. I would suggest that people buy captive bred newts and frogs and not be tempted to collect their own. Thanks for your interest. Yes, Amphibian populations are in severe decline world wide and should not be collected other than in association with properly documented rescue efforts. Many species are protected by law here in the USA and in the UK. There are a number of very well-organized conservation efforts, some utilizing volunteers, in the UK at present – road-crossing tunnels for toads, road closures, wetland rehabilitation and so on. Hi Frank, John from caudata.org here. Great article as ever. As a long time fan of your newts and salamanders book I’m glad you are still flying the flag for these wonderful animals. I’m glad everyone is supporting captive bred. There should be little or no place for commercial collection of wild amphibians. That’s a mantra we stand by at caudata.org. Nice to hear from you and thanks very much for the kind words. Interacting with caudata.org members these past years has been most interesting and rewarding, and I look forward to much more. Thank you for the fine work, please keep at it. I just came across your blog. What a wonderful source of helpful information! Would you be willing to help out a new newt owner? My 8-yr-old son is crazy about newts, so we just set up a tank in our house. Here is our set-up. We have four adult Eastern red-spotted newts in a filtered ten-gallon tank with gravel, fake plants, and a large piece of rock that leaves a strip about 2 inches by 6 inches out of the water for them to climb out on. The person at the vivarium said we should keep the tank temp between 70 and 75 degrees, so I have it set at 72. He also sold us tiny tadpole pellets, but they don’t seem to to notice those. They did, however, thoroughly enjoy a nubbin of frozen bloodworms that I put in for them yesterday! 1. The rock they sold us is very rough-surfaced. Should I find them something else? 2. Also, do they need more surface than what they’ve got right now? On one site, I read that half the tank should be water and the other half land, but I’m worried about reducing their water so drastically when we have four newts in one tank. 3. Should I reduce the tank temp? Your blog said 60-68 for most species, so I’m just double-checking to make sure that’s true for the kind we have. 4. With four in one tank, I’m concerned that they might reproduce. If one does become gravid, what should I do? 5. The vivarium guy said I shouldn’t feed them bloodworms more than once a week. Would it be okay to just give them Reptomin sticks on a daily basis? Do Eastern newts need anything else? 6. The vivarium guy said we should only do a partial water change every few weeks, but I’m concerned that newts are likely to leave a lot of uneaten food in the bottom of their tank. How often would you recommend cleaning out the tank? If you can find the time to answer these questions, we would be most grateful! There doesn’t seem to be a lot of consensus out there about the best way to care for newts, so we’re very glad to have found you and appreciate your willingness to share what you know! Thanks for the kind words. Good choice; Red-Spotted Newts were among my first amphibian pets; as they are bold and out by day, your son will see much of interest, especially in a group situation. Be sure to remove chlorine/chloramines from water (drops available at pet stores). Cork bark (floating or wedged between glass) or a turtle platform is preferable to a rough rock. Tiny skin tears usually become infected. They need only a resting area..size you mention is fine. They do not walk about or hunt on land in the adult aquatic stage. Floating aquatic plants, live or fake, are useful as additional resting spots. Average room temperature fine; cool in winter is beneficial, they will remain active and feeding down into the 50’s. 72 F or a bit higher is also well-tolerated, but changing temps over the year suit them well, and may spur breeding. Let me know if you have very warm temps in summer. 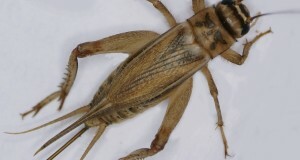 Males in breeding condition develop swellings about the cloaca (vent, between rear legs) and the rear legs are thicker than those of females. You’ll see them clasping females with rear legs from above. Eggs will be deposited on plants. Adults will eat them, so they should be removed when seen…let me know if you see breeding behavior and we can go over egg care. Reptomin and dried shrimp (included in Reptomin Select-a Food) is good as a base diet. Frozen bloodworms or other insect based foods can be used 1-2x weekly. Skip 2 days or so each week, or feed every other day. Watch for un-eaten food or bloated newts. Please see article above for other useful foods. Can drop the tadpole pellets…if very small will be lost among gravel. A small, simple filter is the best way to go..see article for links to some useful ones. Even so, a 25% water change should also be done each week, or each 2 weeks at most. Ammonia is colorless but builds up very quickly, esp if they are being fed often and with large meals (as kids like to do!). Can sometimes do w/o filter if there are many live plants and with frequent water changes, but best to have a filter. Simple internal box filter is ideal, as water currents from larger ones disturb newts. Buy a “brine shrimp net” (fine mesh and sweep over gravel on occasion. Siphon based “gravel washers” are useful when doing water changes as they take debris right from gravel bed. With care, you won’t need to break tank down and clean. See note in article re gravel size…newts may swallow small stones, esp when hunting live blackworms (a favorite); this can cause impactions. You might enjoy this article on Eastern Spotted Newt Natural History as well. Unfortunately, our newts aren’t doing very well. The most active of the bunch escaped the tank a second time when the tape loosened near the filter, and we didn’t find him in time. What a terrible death! I replaced my hanging filter with a submerged one and a full-screen top, and that seems to be doing a better job of keeping them in. Once we put the turtle float in the tank, the fat newt spent all his time at the bottom of the tank, but the other three (then two) spent all their time curled up on the float. I didn’t think too much of this since I know they’re nocturnal, but then I moved the float during a cleaning and got a good look at them. They’re in terrible shape! One is so skinny, you can see his ribs. I’ve tried everything I can think of to get him to eat, including buying live blackworms and dropping them on his nose. So far as I can tell, he’s avoiding food completely. Hope there is something we can do and thanks once again for all your help! The ammonia levels you mention can be fatal over time; best to do a 50-75% water change right away. Filters are useful, but weekly partial water changes are the best way to keep ammonia near 0. Levels that might be mentioned on the test kit, as examples, are written with fish in mind – amphibians absorb toxins over a greater body surface than do most, and so are usually more sensitive. If the newts do not perk up, the only way to access what else is going on is via a visit to an experienced amphibian vet. The vet may do a cloacal swab (as they are not passing stool) or administer a general antibiotic; please let me know if you need help in locating an experienced vet. Newts in the trade are often in poor shape; care in selecting both the source, and the animals themselves, is needed. We can go over some fine points in the future if you wish. I was wondering if you could tell me if my Red Eft (named Cougar) is changing into his Eastern Newt stage. He has been off and on going into an olive green color (one time his feet and belly were very very very green! But the next day, he was orange again) and he sheds weekly, which turns him back orange. But, I am putting a before and after picture up of him on the below links. The before was from around when I got him 3 or 4 months ago, the after is a picture from today, June 17th. Thanks! If you can’t see the pictures or click on the links for some reason, try these below. Currently “Cougar” is housed in a mostly aquatic set up (as I thought he was changing) he has an island and bark he uses for his land…which is where he spends most of his time. Should I change it back to terrestrial using his water bowl, big enough for him to bath in? Or, should I keep it the same. Also, what are the signs that he is changing when the time should come? I’d change back to terrestrial, as he’s done well there; living in a more exposed situation will likely be stressful. Movement to water usually precedes any change in appearance, so you may see him spending more time there. Color may lighten in tone, become yellow-green or rust; this is not necessarily associated with shedding; the tail will broaden laterally as well. These changes are stimulated hormonally, but the timing and sequence may be affected by captive conditions. Any notes you might take on the process would be very useful, as few people keep them from eft to aquatic stage. A few new questions, Frank. Eft is doing well, just got back from vacation actually and he lasted a week on his own. But, I was going to buy him a companion because they are social creatures. #1, is it okay to house him with an eastern newt adult form? I can divide the tank into about 3/5 water, 2/5 land, because my eft does like to swim around a bit, and the adult will be mostly aquatic. If this isn’t okay, question #2 is where can i get a CHEAP red eft? I called the pet store where I would be special ordering it, and they don’t get the efts because they are poisonous when eaten, they only do the adult form of the newt. Thanks for your help! Thanks for the update. The main problem with leaving them is heat and dryness, which may be hard to counteract during a heat wave if one is away. Otherwise, food can usually be skipped. They aren’t really social in terms of needing company; they do have complex mating and territorial behaviors, but live solitary lives and are fine when kept alone. It’s difficult to house both together…efts drown easily in the amount of water needed by newts, and unless the terrarium is very large neither winds up with an ideal amount of space. Efts are only rarely sold, usually by dealers advertising on Kingsnake.com who happen to come upon some while out collecting other creatures. The adult aquatic form is also highly toxic – many people do not realize this, as they associate bright colors with toxins (not a foolproof rule – marine and other toads are extremely toxic). I have seen an adult marine toad die within seconds of consuming an eastern spotted newt, and know of the same happening to a painted turtle. Certain other small terrestrial salamanders, such as red-backs and, perhaos, duskys, 2lined, and 4 toed, sometimes co-exist with efts, if given plenty of room. so, in terms of catching one more eft, because i would like to have 2 newts in my tank, where would it be easiest to find one? it is summer, and the temperatures here average around 90 degrees. it does rain, and sometimes we have really bad storms, and then it drops to the 60s or so. (Fahrenheit.) I do not believe red-backs, perhaos, duskys, 2lined, or 4toed are common here in Pennsylvania. All are very hard to find in the summer, except during/after rains as you mention; but they may remain inactive/aestivate even then. Please remember to check into the legality of collecting…may be prohibited; permits sometimes available through state wildlife agency. Please let me know what state you were in, and what region of the state – north/south etc. Central Pennsylvania is where he was found. while waiting for your response I had done a little research of my own. I had remembered reading somewhere that the red-spotted newt and red eft are often confused for one another. I have found the red-spotted newt and am housing them with my red eft. Here are my questions. Anything you have to suggest will be great! Efts are the temporary, land-dwelling phase of the Red – Spotted Newt; please see this article for more on their interesting natural history. They need very different care; the information in this article covers the basics. In a small terrarium, it’s very difficult to meet the needs of efts and newts together; usually neither winds up with the proper environment. It is possible in a well-designed 20-30 gallon aquarium, but in general they are best housed separately. I’ve noticed my smaller of the red-spotted newts, named Nova now, was laying with Cougar, Cougar’s head over Nova’s neck. I took this as a sign they were getting along smoothly. The other newt, Champ, is burried under the moss away from them and doesn’t seem too social. Occasionally I am seeing the eft or the two newts swim in my water dish (it looks sort of like a carved out rock and is rather deep for a dish and does allow for swimming movement) but they seem to spend much more time on land. This is a picture of the newt I caught, in case you were thinking it was a different kind. Yes, it is an eastern red-spotted newt. They are not social animals, so no need to worry about that aspect. They may get along, but in small terrariums skin problems often develop if they spend too much time in close contact – i.e. under the same shelter, etc. Seems related to skin abrasion, transfer of fungi, etc. In fact, we used the term “newt disease” in the old days, for animals that had been held in crowded pet store displays. Filtration is important, as described in the article; ammonia builds up quickly. Also, water bowls rarely give enough swimming room. There are some very small filters available, but I don;t think all would work out well in a 10 gallon. A 5 gallon aquarium would be ok for a single, or perhaps 2 newts..half filled with water as mentioned in the article. So since I have a 10gal (and already have a small filter for it that works wonderfully. Its actually a ground filter and it can cover either the full 10 gallons or just 5 gallons. pretty amazing) should I just make 5 gallons of it water, filled about halfway up to the top of the tank, and half of it land? How should I divide it? Using a glass divider? I don’t want the water getting into the other side and flooding it or making it too muddy. Thanks. I am keeping two female adult red spotted newts in a filtered 10 gallon aquarium. I have a turtle dock as well as a pothos plant in gravel in a terra cotta pot to provide a haul out area. The tank has 8 gallons of water, which is planted, but I suspect maybe not enough, because the newts spend all of their time on the dock or in the plant. The temperature is kept between 70 and 72 degrees. I have been doing frequent water changes as I cannot seem to get the pH of the tank below 7.6. It has been as high as 8.3. I cannot figure out where this pH is coming from as I have tried filling the tank with distilled water and/or dechlorinated tap water unless it is from the gravel (polished river rock for use in ponds so that it is too large for them to swallow). They stay moist but I worry their skin will change to a more kerotinized terrestrial form over time. I am buying a nitrate test kit this weekend and a ton more plants. How do I get my girls back in the water? Sorry for the delay, glitch in system delayed me a bit. An elevated pH will keep them out of the water and can cause skin lesions and other problems. Do not use distilled water, as it will leach minerals and salts from the animals (through the skin). River rock and gravel sold for use with aquariums is rarely a problem, but you can experiment by putting some in a container for a time and testing pH. Your local store should have products to lower pH (“PH Down”); or I can send you a link. Adding sphagnum moss or peat will also work, but it discolors water, can clog filter, and pH levels must be watched lest they drop too low. But best way is to use water that already in the right range. I’m assuming you tested the pH of water as it leaves the tap (well-water and certain other sources are usually of a high pH); perhaps try testing a few brands of bottled spring water? We purchased 2 Mexican Spotted Newts last year and now have about 2 dozen larvae that hatched from eggs. I have separated them from the baby-eating adults but would like suggestions on how to keep them healthy and grow into adults. Do I need to put them in their own tank? What do they eat, I don’t see any mouths! Congrats…not common for folks to breed newts at home! It would be odd if the species you have is N. meridionalis, as they are considered d to be an endangered species (please see “related species” in this article ) but then again surprises do turn up. In any event, care is the same for most newt larvae. They can be kept as described for Mexican Axolotls in the 2 articles linked below. They will not eat for a day or 2, after that finely chopped live blackworms (pet stores sell as fish food) are the best food. Live brine shrimp can be used if blackworms are not available, but they are not as nutritious. They may take dry food in time. Hi, my backyard seems to encourage small slender newts to visit. We live in Northern California. We do not have a large water source for them live in. They look like earthworms. Do you know what they are called and what they perfer to eat, my son wants to keep it as a pet. I want to make a good habitat for it to be healthy and happy. I’m a snake and lizard kind of girl, never kept newts before always catch and released. I found and decided to keep 3 salamanders. ( 2 redbacks and one sledgeback ) in MD. I grabbed soil from the back yard and put it ontop of gravel. I’ve had them for about a month now on purely gravel and they have been doing fine. I was wondering if sudden influx of soil in which they were not found will be harmful due to PH. Is the wrong PH soil deadly? I do not believe the soil has any fertilizer or anything. Thanks! Soil pH can affect them..you’d likely see escape behavior, wandering etc., but not always. I’ve not run into overly acidic or other problems, even when collecting in NYC, but there are no hard/fast rules.Letting the soil sit in some water for a time and then using a simple aquarium pH test kit or test strips may be useful, but I’m not sure how close the correlation will be. I prefer to answer here so that others benefit, and this also helps me with time management, etc., but if there’s something you’d rather not post here you can send to findiviglio@thatpetplace.com. First off I’d like to say I’ve learned more newts from you Frank, than I have in all the research I’ve done. So I was excited to write to you in hopes of advice for a juvenile red EFT I currently am housing alone in a 10 gallon tank. I was rescuing Samus, from a friend a threw together a semi aquatic tank with a slanted small gravel bottom, small side filter in about 6 inches of water, with about a 1/3 of the tank being the high ground gravel covered with moss and a bit of soil with live plants and a mountain prop to hide in. The tank is at about 70% humidity, I mist the tank twice daily and the room is from 70-75… I’ve been feeding samus flightless fruit flies, and their larva about 20 per every day or two. I was wondering if I should restructure the tank to a total terrestrial tank or not because the EFT is not acting like I read they should be. Samus usually hides under the moss, or in a corner for the entire day in one place and only peps up for fruit flies going near by. What I’ve read sounds like he should be moving around a bit more…seems like he’s depressed if that makes sense? I believe I am doing everything right but am sure I can improve his health somehow, I definitely don’t want to lose him. I was thinking over two ideas…one being converting to an entirely terrestrial set up and getting another EFT or two for tank mates…. or increasing the depth of the water and getting some small fish mates while restructuring the land part with fresh substrate and moss? Any thoughts would be awesome…I just hope I can provide a better life for Samus soon! Best to lower the water…they only need a very shallow pool to soak in; as long as moss stays moist, a small water bowl (de-chlorinated water ) will suffice. They drown easily. They are not social so no need for companions. Mention is always made of them wandering around, but actually they spend most of their time hiding below moss. They are only active when hunting, migrating from ponds etc..usually in rainy or damp weather, watch temperatures…over 75F can be stressful; cooler is better. Fruit flies are a useful food, but should not be used as entire diet. try adding pinhead or 19 day old crickets, flour beetle larvae (cultures can be purchased online) and wild caught leaf litter inverts etc. The foods mentioned in this article on Poison Frogs are all suitable. Also, tiny earthworms or pieces of earthworm (see here re breeding, if needed); blackworms, sold as food for tropical fishes in many stores, are excellent; place in a jar lid or they will get lost in moss. history, and that of 3 related species (click on name for detailed information),. I’m very glad to have found your website! Hope you can help… here’s the whole story… I moved into a house ( Nottingham, UK) in May that came with a small ( 5ft long x 2 ft wide x ~ 2 ft deep) garden pond. The pond was inhabited by a few newts ( both smooth and palmate as far as I could tell) and a bunch of frog spawn. The frog eggs all hatched and I had ~ 200 tadpoles for a while. The newts laid eggs all throughout June and July; I ‘harvested’ the eggs and put them into a little hatchery tub so that the tadpoles/ baby frogs wouldn’t eat them. I fed the newt larvae on baby brine shrimp and daphnia, and after they got to a decent size (1/2 inch) I put them back in the main pond ( after the frogs had left). They spent July/ August quite happily in the pond, though growing very slowly. I was feeding them blood worms, brine shrimp and daphnia but they honestly weren’t very bright about finding food. 3 weeks ago I realised that there was no way the young newts were going to be ready for the winter, since they all still had gills. And the pond will freeze to an ice block in another few weeks. So I found a second hand 50 gal aquarium and carefully migrated them all into it over the space of a week. They’ve all done really well, I only lost 2 out of about 40. The aquarium/terrarium has a gravel bank at one end, a nice big dead log in the middle and water at the ‘deep’ end ( which is only about 6 inches deep). I’ve got a little filter going and the water pH and NH3 are all OK. The aquatic ones who still have gills have been doing well on blood worms and daphnia. My main concern now is the ones that have become terrestrial. A lot of them have reached that stage in the last week. They snuggle up together on the log, high and dry. They are getting thinner and are starving as far as I can tell. The log was the only totally dry spot in the setup. So today I’ve made a ‘beach’ out of sand at the dry end of the aquarium that is continuous with their favourite log. Now they can get off the log and still not have to swim. On the beach I’ve sunk a small dish that contains a bit of compost and the white worm culture that I’ve started. I threw in some blood worms as well. The contents of the dish would qualify as ‘mud’ and it is full of yummy wiggling things. The baby newts can easily get in and out of it. 1 – how long the young terrestrials might go without eating? 2 – should I get any other kind of food to interest them? 3 – how to get them used to finding their food in the dish – or wherever else you think I should put it? Thanks for explaining. I hadn’t really quite figured out that they wanted to hibernate. Today and the rest of the week is Indian summer weather, so I’ve gathered them up in a bowlful of grass and taken them outside to the log pile. They are slowly finding their way onto the new logs. Should be good! I’ve still got about 2 dozen with gills though. We will have to see how fast they mature. Hello! You may remember me from earlier this season–I have a terrarium with two red-spotted newt efts we call Fred and Ethel. The larger one was out quite a bit and took to eating wax worms dusted with Retrocal, but for a long time I didn’t see the tiny one; I figured he’d died–but after about 1.5 months he showed up again, still tiny but brilliantly colored. Now I see him out a lot but don’t see the larger one–and I’m really worried I might’ve killed him when rearranging some stuff in the tank. That’s karma since in my heart I know I shouldn’t take these things from the wild, but I consoled myself by saying they’d be safer in my tank than outside AND because they are so plentiful in my yard and woods. Having said that, I’ll probably get another one if it is true that Fred is gone, though once I figured out that’s probably what happened I cried for quite a while–I don’t want to hurt these animals. Anyway, my question is this: When these guys shed, do they stay hidden, or do they have a fresh new coat they can go around in right away? I’m hoping maybe Fred is hiding out for that or some other reason and, in fact, isn’t dead. Thanks for all your help! Efts usually eat the old skin and do not need to hide for a time as do crags, crayfish, etc..they are ready to go right away. They can burrow deeply and disappear; food needs are low, esp. as temps cool. It’s good to bear in mind also that wild caught ones may be suffering from a range of parasites, internal problems that do not manifest quickly; we do not know too much about their longecvity in the wild, and not much has been done with them in captivity. Could I please ask your advice again? It is about 2 weeks since I last contacted you. I put most of the young terrestrial newts outside into a log/leaf pile 2 weeks ago, and I have not tried to investigate them. They are tucked into a log pile with a 12-inch deep blanket of dried leaves on top and around them. But I still have about 6 ‘terrestrial’ newts who are living up on the sandy end of my aqua/terrarium, and another 6-8 ‘aquatic’ newts still with gills who are water-bound. The average daytime temperature now is about 12 C, with the nights dropping down to 6 or 8 C. It is very rainy. Though we are still having occasional warm days, like today, where it was 18C ~ 65F. (2( for the ones who are terrestrial and still living on the beach in my aquarium…. (b) if I am to turn them out, should I try to feed them or condition them before I do? If yes, with what? As far as I can tell, none of them have eaten for at least 2 weeks. (3) for the ones who are still aquatic with gills – there are about 6-8 of them still left…. honestly, I would love to try to grow them up till next spring, as I am fascinated by their whole biology. But just tell me if I am being stupid – I am actually a veterinarian, and can cope with complicated animal husbandry, but if it’s pointless, then it’s pointless. (b) The water quality is good, and I have a good filter. I turn it off for several hours each day while the Daphnia are on offer. Presumably most Daphnia will get sucked up into the filter after a a couple of hours. The whole tank set-up is in my sunporch, which is not heated. So the water temperature is about 55- 60 degrees F. I can easily set up a terrarium in the same room, which as you suggested previously, could be organised with potting soil and leaf litter. Thanks for listening, and I look forward to any advice you can give. No need to check/feed those outdoors. At temps mentioned, you can release others…always a gamble (even under natural circumstances, many do not survive hibernation) but also difficult to rear indoors at that size. Bloodworms in a jar lid, buried in substrate, may be taken, but not always. Probably best not to feed..if temps drop sharply before food is digested, food decomposes in gut, animals generally die. In wild some morph and hibernate right away, others do build up fat reserves first, but this varies by population, perhaps by weather as well. Most herps have an amazing ability to “tune ” their metabolism in accordance with food sources, availability. Gharials that I kept at the Bx Zoo refused food for 3 months each year, in tune with winter in N. India, but were kept at normal exhibit temps (hot) and remained active…they did not lose any weight; black rat snakes add size during 3-4 month long (lab induced ) fasts…many example. So, safest to release w/o feeding. Aquatic larval development also somewhat flexible/…some species will remain as larvae far past normal morphing time if conditions – water quality, food, crowding – are good. Allows them to transform at larger size, etc. When temporary breeding ponds start to dry up, some tiger salamander larvae, Ambystoma tigrinum, quickly develop wider jaws and sharper teeth.,,…they can then consume other larvae as opposed to small inverts, and will transform faster…and they preferentially take unrelated larvae!!! So yours may stay in aquatic phase for some time. If not, can try bloodworms, fruit flies..may be able to order springtails, pinhead crickets, flour beetle larvae on line. Check this article for more ideas re small food items. Can also chill down in frig if all else fails. Variety is ideal, but they may not be getting much nutrition from daphnia…you can offer, but beware of shutting filter down; after a time (varies, can be 15 min to 1 hr or so) the beneficial aerobic bacteria start to die off and biological filtration (ammonia to nitrites to nitrates) is impeded. This is filters most imp function. Be sure to do partial water changes as well, as ammonia poisoning is most impt water quality concern. Corner filters and sponge filters less likely to grab food, but sponge filters do not hold carbon, must be rinsed often. Blood worms, blackworms (tropical fish stores may have) are ideal; newly hatched brine shrimp ok; some larvae take dry food, i.e. softened Reptomin, but beware of fouling water if you try. Hope you are keeping well. Please could I ask you for some more advice re my baby newts? i took your previous advice , and created a small terrarium for the baby news that had morphed to the terrestrial stage. Their terrarium is 1 ft x 2 ft x 6″ deep, and is composed of (fresh, store-bought) potting soil as well as some local fallen leaves and twigs. Also I have placed a terracotta plant saucer in one corner, which is the water bowl. The water is only about 4 mm deep and I change it every 2-3 days. Now, in the terrarium, I have a dozen baby newts, all of terrestrial morphology. I am trying to figure out how often and what to feed them. Their environmental temperature varies between 15-18 C.
My question is – what and how much to feed them? Am i feeding for growth, or for hibernation maintenance? And what should I do about vitamins/ minerals? – I had the opportunity to look at them all very carefully last night. About 1/2 of them looked reasonably hydrated and in moderate body condition. They were able to move away when they wanted to. The other 1/2 of them looked thin or dehydrated. And they worried me with respect to their metabolic/ calcium levels and bone strength. I can acquire a steady supply of wingless fruit flies and springtails – these are shipped in from a UK supplier. I’ve just started dusting the fruit flies in calcium powder before putting them into the terrarium. And they do seem to vanish, so I think my sleepy baby newts are catching a bite sometime? Not quite sure how to handle the springtails – all advice appreciated. hi frank i cought a newt from my back garden i currently have it in a jam jar (emptied an cleaned) with bits of grass an two biggish leaves i have had it for a few days now an have places a live thin earth worm in the jar with the newt but as of yet the newt hasnt eaten it what would u suggest? I found a red spotted newt while doing yard work. I kept it and made a habitat. I have many questions can u get back to me before I start writing them. Its a beautiful creature and I want to make sure he survives. My son brought home two eft’s from camp, so now I am trying to keep them alive. They are in a plastic tupperware container with holes until a tank arrives from Amazon. We have a mix of water (about 1/2″), tree bark, grass and plants from the back yard, and completely change the water every 2-3 days. We also let them walk around the backyard almost daily for about 30 minutes. We handle them with rubber gloves for their safety (and ours). I try to feed them worms and bugs from the back yard, but they do not seem interested and are getting thinner. Should I buy Reptomin food sticks or something else? Any advice is greatly appreciated. Hi I had a question i am getting one red spotted eastern newt and I was wondering if the terrarium can be half water half land? And also I have a wild salamander that’s all black with yellow spots and I was wondering if they can go in the same terrarium? And can eft and red spotted newt be in the same terrarium? And can they eat small grasshopper and worms cuz that’s what I feed my salamander. And how deep would you recommend the water should be? Eastern newts are mainly aquatic, need just a floating bit of cork bark or platform on which to rest. Best to keep in an aquarium type set up with a filter…usually hard to keep water clean in terrarium settings. I purchased some Reptomin and put a few sticks in their container. It seems to dissolve in water. Do they eat it dry or wet? They don’t seem the least bit interested in eating it. Do I leave the Reptomin in the water and eventually they will eat? How should I feed the adult red spotted newt and what kind of food? And how deep should the water be? What newt or salamander needs half land and half water could you tell me some? Oh and can they stay efts for there whole life? Thanks frank that helped a lot and I was wondering how would you feed the adults in water or on land can you tell me how to do both thanks. Could they eat blood worms or guppies? And could they eat earthworms in water? And thank you for answering my questions. I have recently purchased two fire belly newts not sure if Japanese or Chinese. They are in a 55 gallon tank with a 1/3 land/water ratio and I have purchased ocean nutrition frozen bloodworm cubes. 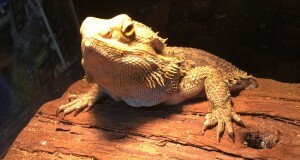 I’m worried one has not been eating well in the pet store it is extremely skinny and neither will eat now. Do you have any tips on how to get them to eat? Hi I was wondering if the eastern water newt (adults) need a heater or is room temperature good enought? I caught it and I Live in Washington State and it’s all black with a yellow strip on it’s back down to the end of its tail. Thank you for taking the time to answer every single persons questions here! You have become one of my new role-models. 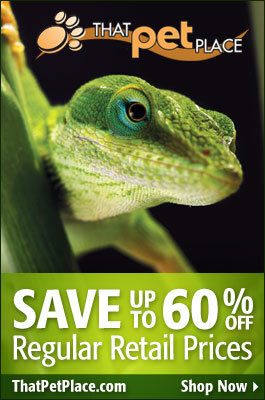 Unfortunately I live in NJ and cannot keep many reptiles/amphibians you detail. I’ve been working on a half aquatic, half terrestrial tank (siliconed plexiglass divider between water and soil) with a “forest floor” theme. This tank is 55 gallons (typical rectangle) and I’m left with very few amphibian choices (not interested in frogs). Could that size tank contain ~4 red spotted newt efts? And since half the tank would be aquatic (live plants mainly) should I create a barrier to prevent the efts from drowning until they’re in the final stage? With your experience, would there be an animal better suited to a 55 gallon half aquatic tank? Turtles are also restricted but an option. I just recently found an Eastern newt and it is still bright orange which I am pretty sure means it isn’t an adult yet. But my question is how do I take care of it, I really have no knowledge of these amphibians beyond what I got off Google and I am only going to have it for about a week before I give it to my girlfriend as a gift. I currently have it in a little white container like those you would get from a chinese restaurant. I bought meal worms for food but now when I look at the worms they look bigger than the newt’s head. I am not sure if this is the right food type or how to feed the thing also I wanted to know if you can give me a little tutorial on how to create a makeshift habitat with things found around the house. I don’t want to spend/don’t have too much money which is why I want to just make one at my house. And as I said before I only need to take care of it for about a week so if you could just give me care instructions for this specific type of newt it would be greatly appreciated. Thank you. I found the Red Eft up in the Catskills in New York and brought it all the way down to southern New York to give to my girlfriend as a gift. But as you told me they are difficult to maintain or live long in captivity I am not sure what to do because I don’t want to give her a gift that will just die in a few weeks or require all her days time to maintain but I also don’t have a lot of money to get the things that the eft would probably require to keep alive. Any and all advice would be greatly appreciated. Wanted to thank you for the advice. I stewed for a couple months on what to actually obtain. Finally decided on adult Eastern spotted newts (NJ) with a mostly aquatic tank. The tank was up and running before I brought two of them. I didn’t divide the tank but added a floating platform and many hefty plants (Java fern and wisteria, some java moss that rotted and is very slowly coming back in patches). The tank is half filled with water (55 gallon tank- ~ approx 20 gallons water) and an in tank turtle filter with rocks propped up to slow the return water flow. Early on I was removing the newts from the larger tank to a 3 gallon tank with very little water to feed them (get them used to worms, reptomin). Every now and then they still snub the food when placed within the main tank. Eventually added some glass shrimp and four danios. Just last night I believe one of the newts got peckish and offed one of the danios. No body. So I had a couple of questions. A new plant a friend gave me has snails (malaysian horn snails?) and from what I can find, it’s ok to have snails in newt tanks. I’m afraid they may choke on the shell although the newts are fairly big now (around six inches each). Would these “pest snails” be alright to put in there? The other question is about the floating land section of my tank, it’s very bare and any attempts at moist substrate simply end up in the water. At the moment it’s a section of empty plastic with a fake log for shelter. Is that enough? Glad to hear the info was useful and all is going well. Snails are generally fine, newts tend not to eat them, or to take only tiny ones..remote chance of parasite transmission but I’ve never seen this at home or in zoo exhibits. Thanks for all of the great information! I have four male red spotted newts in my science classroom and I was wondering if in the summer they could be released back into the pond I got them from. Will bringing adult newts into captivity make it impossible for them to be released, or should they be fine on their own? Also, if I was to find a female and breed them, would the offspring be able to be released into my pond? Thanks again. As long as they are healthy both adult and baby newts should have no problem being re-released. Just be sure that you release them in a suitable environment for them. My name is Zach. I am very interested in raising a red eft, but I’m wondering if it would be safe for an eft to be housed in a 20 gallon tank that has a waters edge viquarium, where the tank would be half aquatic and half terrain. The last thing I would want would be for the eft to drown. I was considering having both in case I acquired a full grown newt and an eft. Would the eft stay on the terrain side of the tank as long as I provided hiding and another water bowl? The viquarium also has a waterfall/river apparatus in it. Thanks! Also, what other amphibians would be safe to be kept in the same environment? I am Kayla and I just found 3 adult red spotted newts in a pond near my house and I brought them home and set up a 10 gallon aquarium for them. I have a few questions. 1. I have read in other articles that they can feed on raw hamburger meat is this true? 2. I bought a water purifier from my pet store and the water stays around 69-72 degrees I haven’t bought an ammonia testing kit yet and I was wandering if I really needed one? 3. I have tadpols and tadpol eggs in the tank. They seem to enjoy eating the tadpol eggs (that’s why I put them in there) I was curious of what different types of food you would recommend keeping on hand for them? hello, i have a few questions. we have an outdoor pond on our property – it is made of cement, not too big, maybe 14′ x 12′ or less, about 4-5′ deep. it was overflowing with water iris and i had someone dig most of them out the other day. in the process we found a good number of California orange bellied newts. i saved as many as we found and put them in a large fish tank and was going to return them to the pond when it was clear enough. the pond does not have a continuing water source – we usually let a hose trickle water in and it will overflow out into the garden. i don’t want to keep the newts too long in the tank (i’ve put some floating iris roots and a rock and some pieces of wood so they can get out of the water if they want) but i may have to drain the pond again to replant some of the iris that have floated up. how long can they stay in this tank and do i need to feed them something (i live in a small town and there is not really any place to get newt food.) i worry that they may die. the tank is in a shaded area…no direct sun…but sunlight. also the guys that dug out the plants put some soil back in (it was Miracle Grow) not what i would have chosen and now there are small bits of vermiculite floating on the surface. will this be harmful to the newts. one of the guys said they will be soon climbing out and returning to the forest anyway. not sure about this. any info would be helpful. thanks! sorry for the long message.